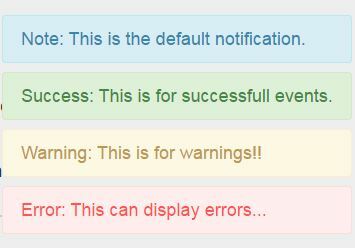 prepend (Default) : whether you want the type of notification written before the text or not. The only thing you have to do each time you wonna display a notification, is to create a new instance of the ZNotif object and passing it some arguments. It has to last 5 second on my screen.